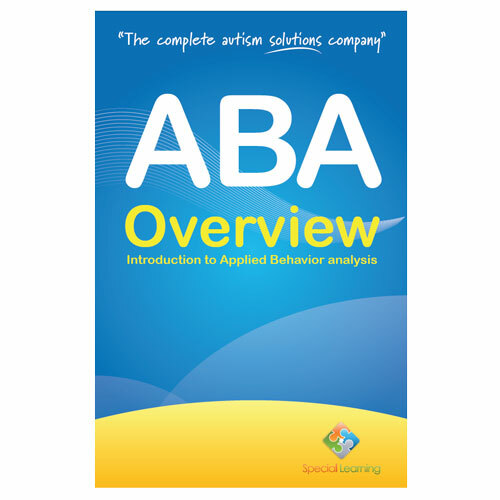 The ABA Overview eBook has been developed specifically for those looking to obtain a broad understanding of Applied Behavior Analysis ABA). This book is a must-read for parents of newly diagnosed children and anyone else who loves and provides care for these children, including special education teachers. Each page is full of useful and straight forward information to help you better understand the different ABA approaches used in dealing with the different symptoms of Autism Spectrum Disorders. Special Learning e-books are available on iBooks, Kindle, and in PDF downloadable format. For downloadable formats, instructions to access your book will be provided upon completion of your purchase. Note: This product is DOWNLOADABLE ONLY. Purchase does not include hard copies.